Size: 18 x 26 inches. 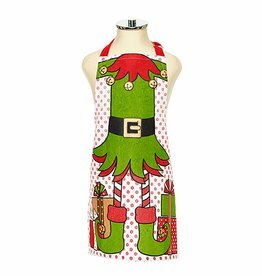 Christmas Kids Holiday Aprons Elf. By Harman Inc Tabletop Kitchen Entertaining and Bath Home Accents. Size: 12x72inches. 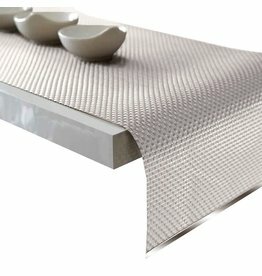 Platinum Vinyl Table Runner with Metal Side Accents. 100 Percent Vinyl. Perfect for Indoor Outdoor Use. Easy Care…Just wipe Clean!. By Harman Inc Tabletop Kitchen Entertainging and Bath Home Accents. Size: 7.5 x 7.5 inches. Halloween Cork Trivets Set of 3. By Harman Inc Tabletop Kitchen Entertaining and Bath Home Accents. Size: 18 x 18 inches. Luxe Matrix Champagne Napkin Set of 4. By Harman Inc Tabletop Kitchen Entertaining and Bath Home Accents. Set of 4 Luxe Gold Snowflakes on Cream Napkins. Size: 18 x 18 inches. 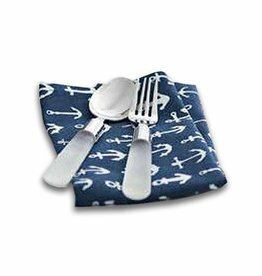 Cloth Napkins Set, 75 Percent Polyester, 25 Percent Metallic Thread. By Harman Inc Tabletop Linens for Dining and Home Entertaining. Size: 18 x 18 inches. Metallic Bordered Napkins Set of 6 Silver. By Harman Inc Tabletop Kitchen Entertaining and Bath Home Accents. Size: 13 x 19 inches. Frosted Glitter Placemat White. By Harman Inc Tabletop Kitchen Entertaining and Bath Home Accents. Size: 13 inches Diameter. Red Glittered Dazzle Plate Charger. Material; PVC - Polypropylene. 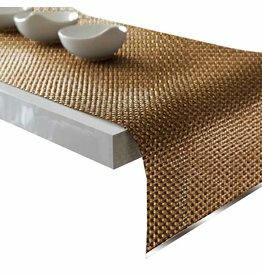 By Harman Inc Tabletop Dinning Entertaining and Home Decor Accents. Size: 13x18 inches. Clear Anchors and Solid indicated colored Background. Sold Individually. Easy Wipe Clean PVC Placemat. By Harman Inc Tabletop Kitchen Entertaining Home Decor and Home Accents. Size: 13x19 inches. Sold Individually. Vinyl Placemat. Indoor Outdoor Easy Care Vinyl Placemat. Just Wipe Clean! By Harman Inc Tabletop Kitchen Entertaining Home Decor and Home Accents. Size: 4x7.25 inches. Vinyl Set of 2 Cutlery Holders. By Harman Inc Tabletop Kitchen Entertaining Home Decor and Home Accents. Size: 18x18 inches. Set of 4. 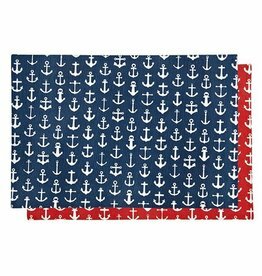 100 Percent Cotton Napkins with printed anchor. By Harman Inc Tabletop Kitchen Entertaining Home Decor and Home Accents. Size: 27x34.5 inches. 100 Percent Cotton Adjustable Snap Apron. By Harman Inc Bathroom Home Decor and Home Bath Accents. Size: 18x18 inches. Set of 4. 100 Percent Cotton Napkins. By Harman Inc Tabletop Kitchen Entertaining Home Decor and Home Accents. Size: 13x19 inches. Sold Individually. 100 Percent Cotton Reversible Placemat. By Harman Inc Tabletop Kitchen Entertaining Home Decor and Home Accents. Size: 18x60 inches. 100 Percent Cotton. By Harman Inc Tabletop Kitchen Entertaining Home Decor and Home Accents.